Vishal Sikka is another reason why India is in the world map having taken himself to represent the country in world map of corporate blue-chip companies. His grit and determination to achieve and his non-complacent nature has contributed a great deal towards helping him to achieve what he has. His beginnings, though humble and ordinary, he rose above it showing to the world that how true the adage “Where there is a will, there is a way” is. Being a son of a teacher mother and an Engineer father who worked for Indian Railways, he probably imbibed the love for academics and the inclination towards engineering from them. He started out in Vadodara, Gujarat, as any normal young boy would start off their professional career by enrolling in one of India’s most prestigious MS University in Baroda. But his vision forced him to discontinue the course as his mission was to reach a few levels higher and this he achieved with an enrolment in the most reputed Syracuse University in New York where he completed his undergraduate and his post-graduate studies. 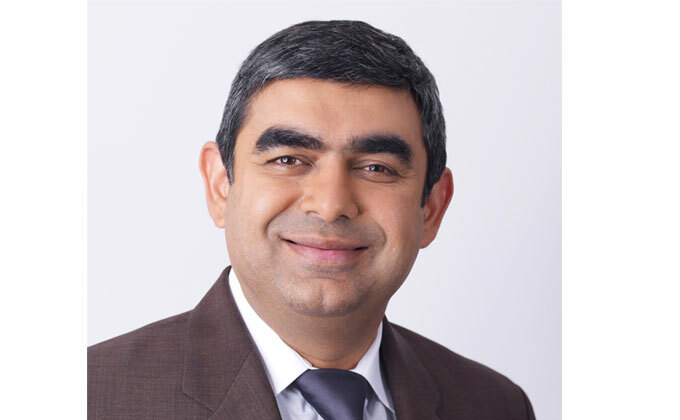 One of the best known facts about Vishal Sikka is that he was able to stand out in Silicon Valley where he got very close to the founder of SAP, Hasso Plattner who had a formidable influence in his life. After a short stint as an employee in a lesser known company, he realized his dream with a start –up company called iBrain, which was bought by PatternRX, Inc. and then his second start – up company named Bodha.com too was soon absorbed by Peregrine Systems, where he took up the post of a Vice President for Platform Technologies after the take-over. Later he was taken on by SAP a German Organization, as its head for strategic innovative projects and later made its CTO. His turning point in life came in 2008 when he met with an accident. Though not serious motivated him to reconsider his options and he left SAP to work on something new thereby introducing to the world the High Performance Analytic Appliance or HANA, one of SAP’s most popular and high selling products. Today he is the new CEO of Infosys and is seen as continuing with the legacy left behind by Narayana Murthy. Understanding his life can be a source of inspiration to the numerous young boys and girls who can achieve what he did if only they had his vision and his attitude to fight come what may.